Continue Reading "Boku no Hero Academia – 38 (END)"
Mayday, mayday! The SS Borusumi is sinking. Continue Reading "Boruto -Naruto Next Generations- – 26"
Is there catharsis only in death? Continue Reading "Made in Abyss – 13 (END)"
I was really hoping that the man in last week’s cliffhanger was Kiyotaka. D*mn that would’ve been an amazing way to end. Continue Reading "Youkoso Jitsuryoku Shijou Shugi no Kyoushitsu e – 11, 12 (END)"
The second season of NEW GAME!! managed a delicate trick: adding characters without overwhelming the old, going deeper without losing the glow, and adding real workplace drama to a moe-moe comedy in a way that improved the whole. 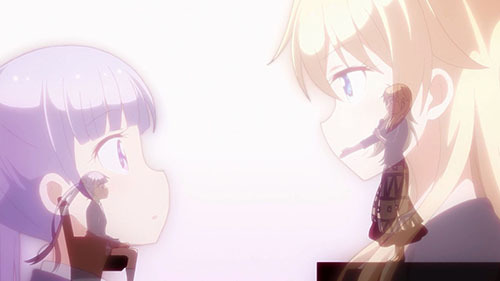 Continue Reading "NEW GAME!! – If Choose a Job You Love…"
Trust in the heart of the cards and all will turn out fine. Continue Reading "Kakegurui – 12 (END)"
Continue Reading "Centaur no Nayami – 12 (END)"
What you believe in, and how deeply you believe in it, will reveal how you do when the chips are down. Continue Reading "Boku no Hero Academia – 37"
Featuring a bunch of elementary school kids, unwittingly headed towards a bloody mist. Continue Reading "Boruto -Naruto Next Generations- – 25"
Dungeons are predators. They feed on adventurers. Continue Reading "Made in Abyss – 12"